Some of the most iconic cities in the U.S. also have some of the most fascinating histories behind them. Guess which U.S. city had the first pizzeria? We looked into Atlanta, New York City, San Francisco and Washington DC – each an AMA Executive Conference Centers city – and you’ll be amazed at some of the things that you may not have known about them! Atlanta, Georgia, USA downtown city skyline. 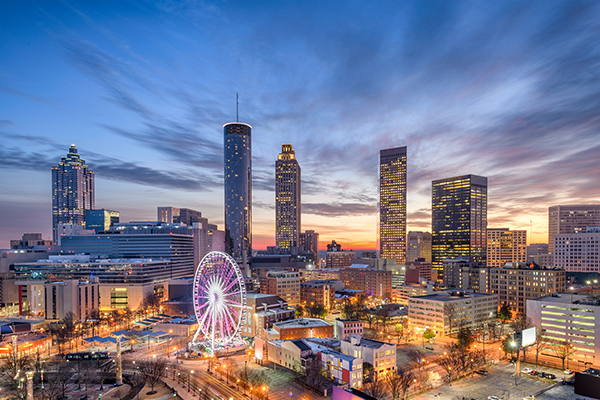 Let’s start on the east with Atlanta, located in Georgia, which is known as The Peach State. Atlanta is home to The Varsity, which is the largest fast food drive-in in the world, established in 1928. The symbol of the city is the phoenix after being burned down during the Civil War in 1864. It has one of the biggest Hindu temples outside of India. Hartsfield-Jackson International Airportcurrently holds the title of world’s busiest airport. Two Nobel Peace Prize winners were from Atlanta: President Jimmy Carter and Martin Luther King Jr.
New York City Financial District cityscape at dusk. 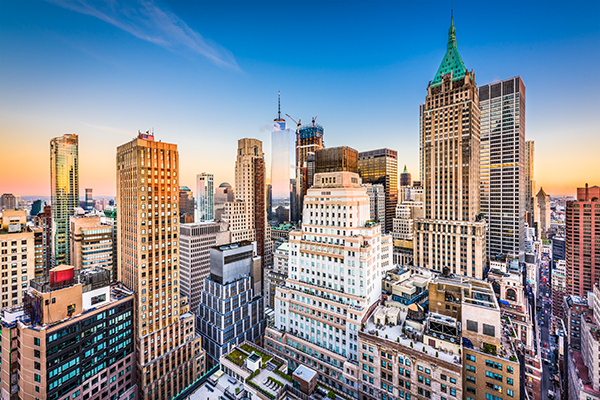 Now, let’s take a bite out of the Big Apple with some fun facts on this bustling city. In 1886, the Statue of Liberty was given to the United States by France. It was part of their centennial celebration. The New York Public Libraryis home to over 50 million books. It also currently boasts the title of the third largest library in the world. The Wyckoff Farm is the oldest building in New York City, established in the 1640s. The taxis in the city weren’t always their well-known yellow. In fact, they used to be red and green until 1912. In 1895, the first pizzeria was opened in the United States. It was located in, you guessed it, New York City. And do you know where Times Square gets its name? The New York Times! 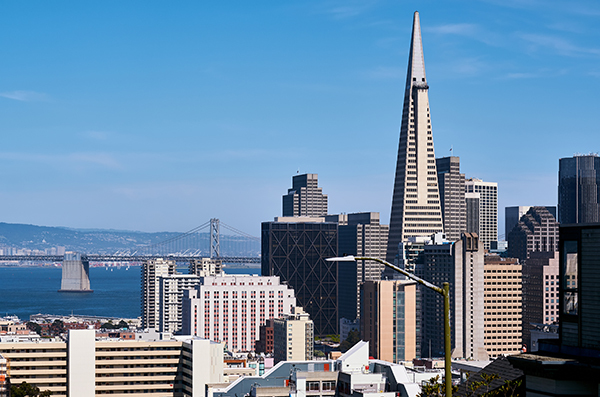 Let’s head west to the bright and sunny San Francisco. The Chinatown in San Francisco is the oldest in North America and is home to over 100,000 people. The official musical instrument of San Francisco is the accordion. The ice cream and oatmeal cookie treat that’s coated in chocolate called It’s-Itwas created in San Francisco. The street that is currently known as Maiden Lane used to be a red-light district and was called Morton Street. Over 50 film festivals happen in San Francisco each year. There’s a name for the color of the Golden Gate Bridge: International Orange. Washington DC, USA in spring season. 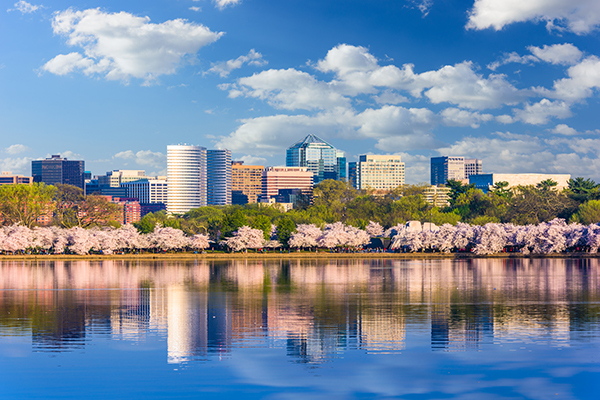 Finally, let’s shed some light on the capital of the United States: Washington DC! The Washington Monument is the world’s tallest obelisk. Inside of the Capital Building are elevators that are only used by senators. The Washington Metrois the third most busy subway system in the United States. Before it was called the White House, the building was known as the President’s Palace or President’s House. Washington DC is home to a unique museum called the International Spy Museum. For more fun facts about United States cities, check out 50states.comand learn to your heart’s content. And for more facts about hosting your next meeting at an AMA Executive Conference Center in one of the above cities, click onto www.AMAconferencecenters.org.